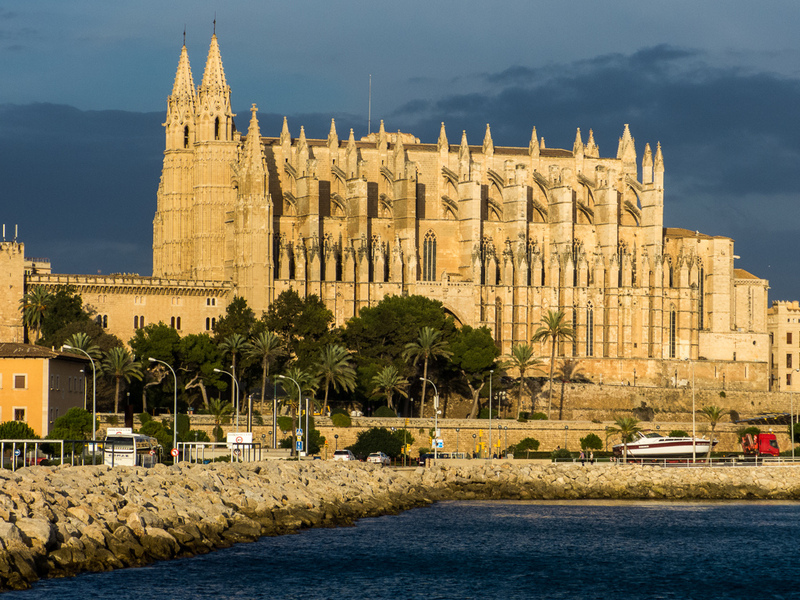 Palma is the capital of the Balearic island of Majorca (Mallorca) and sits on the south coast. Almost half of the population of this beautiful island lives in Palma which is a stylish, sophisticated, fun, friendly and happening city. The perfect place for a city break. 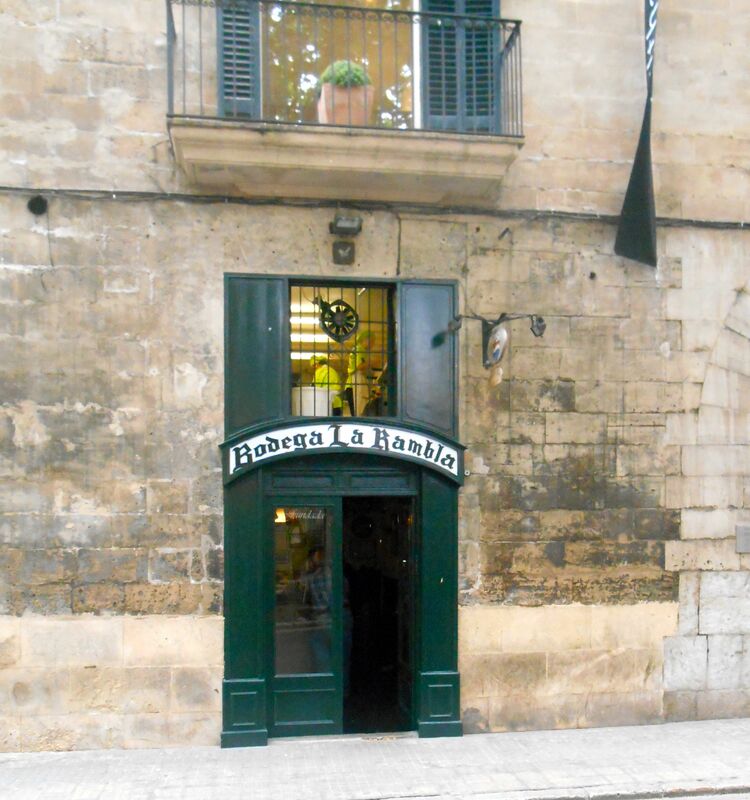 Palma offers fabulous shopping, lovely and varied food, plenty of history and, of course, sunshine and sea. As you drive in from the airport the stunning Gothic cathedral welcomes you, rising out of the city walls that once marked the edge of the sea. 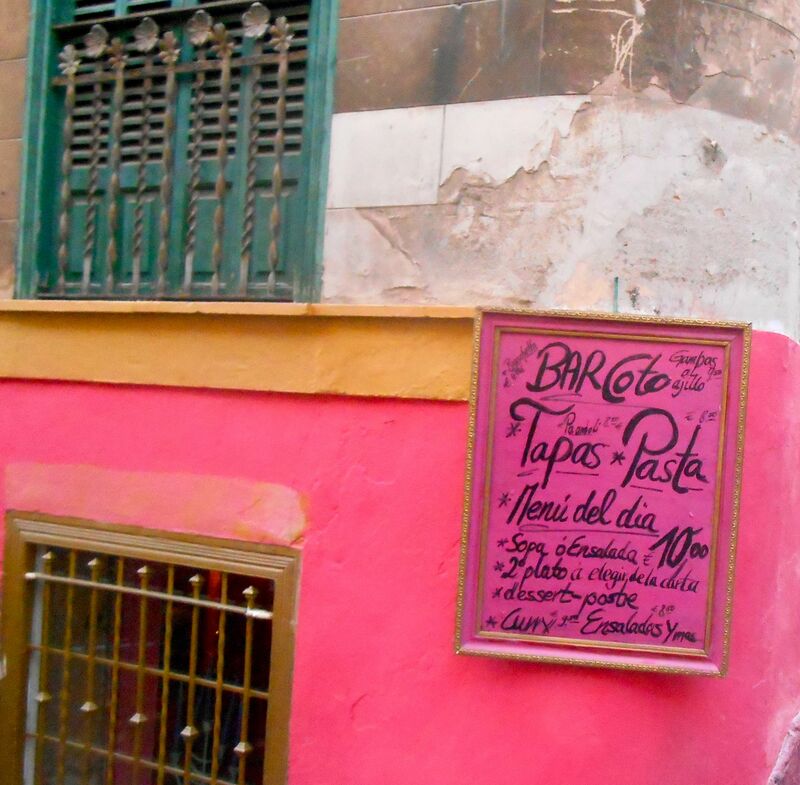 Behind it is the old Arab’s quarter with its maze of narrow, winding streets hiding all sorts of delights. 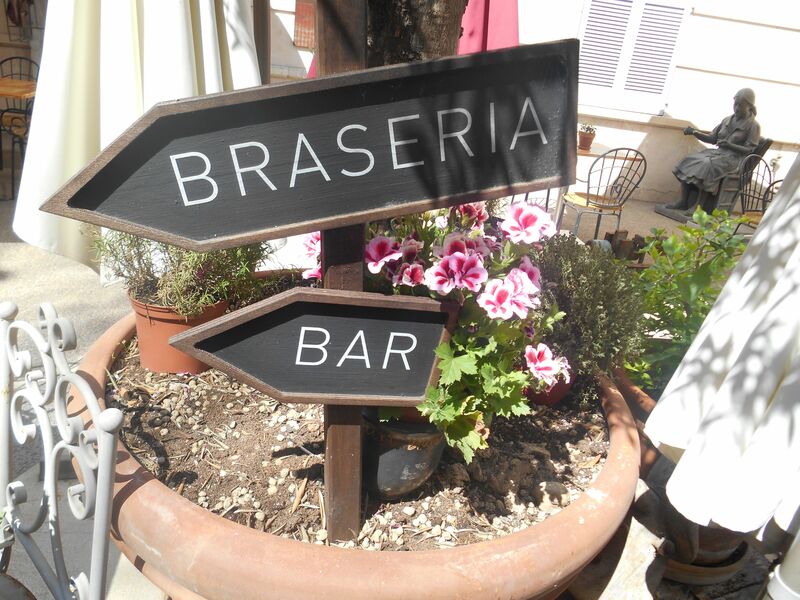 The perfect place to wander and discover. 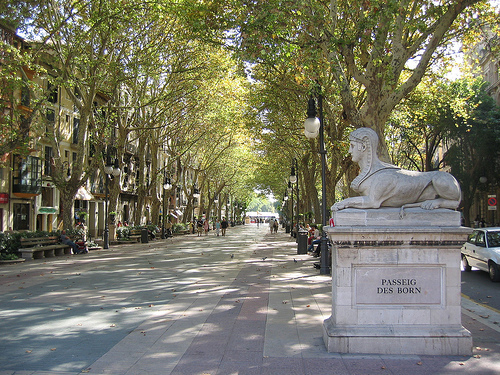 The tree-lined promenades of La Rambla and Passeig Born were built in the nineteenth century on the dried up river bed. Born is home to shops aplenty, like Zara, Massimo Dutti and H&M and the streets radiating out from it offer a shopping experience full of choices. There’s even a C&A, filled with British tourists wrapped in nostalgia. 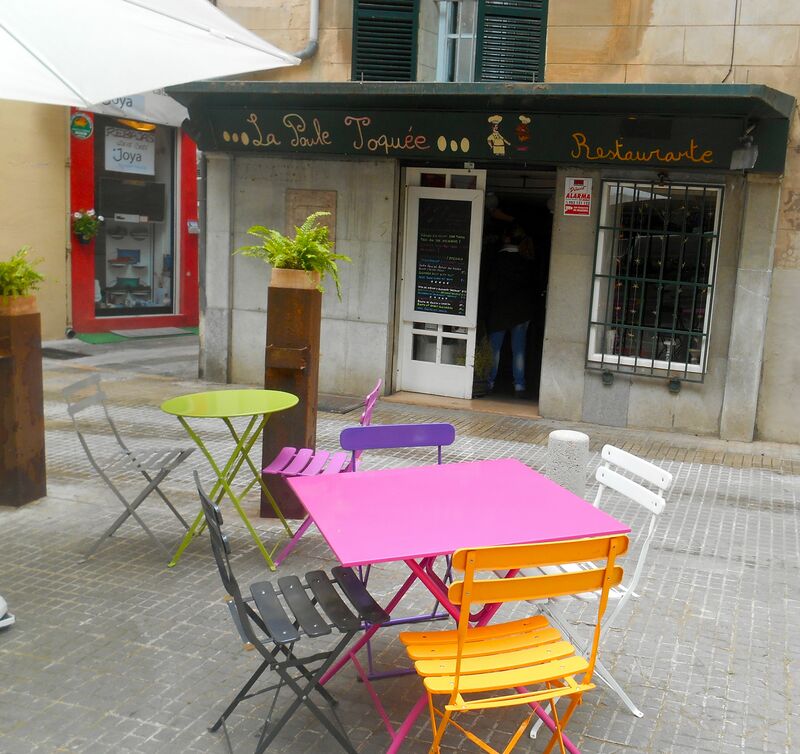 Once you’re in Born, the Old Town is on your doorstep. This truly magical network of streets is meant for lazy days roaming, exploring, shopping, eating and drinking. 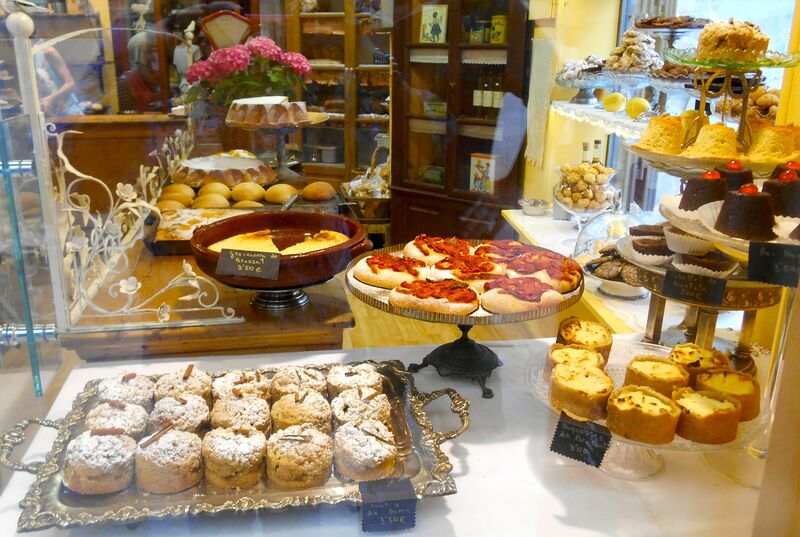 Born is a great starting point, as no matter which way you turn off it, food shops abound, there are plenty of potential coffee stops and tapas bars to test out. And loads of shops selling pretty much anything you could want. Around every corner there’s a photo opportunity, here are some of the sights I captured. 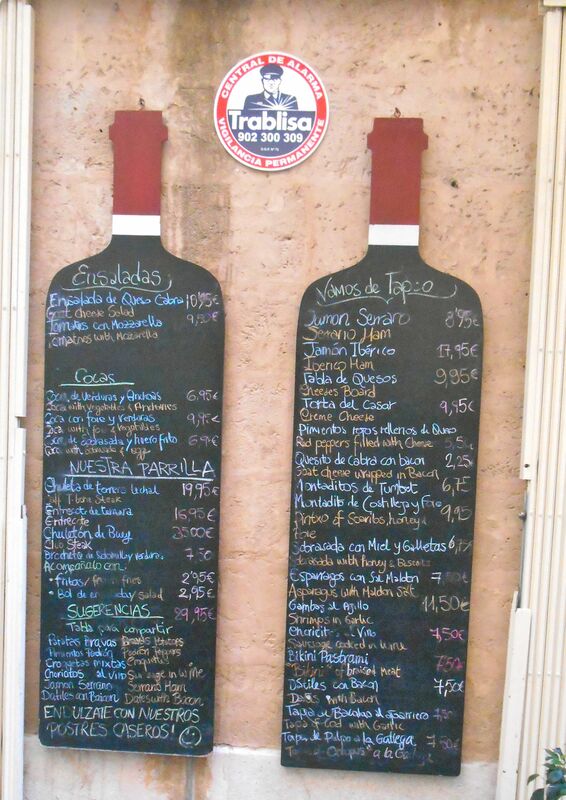 These wine-shaped blackboards are at the entrance of a fabulous bar/restaurant called Wineing (Apuntadores, 24). 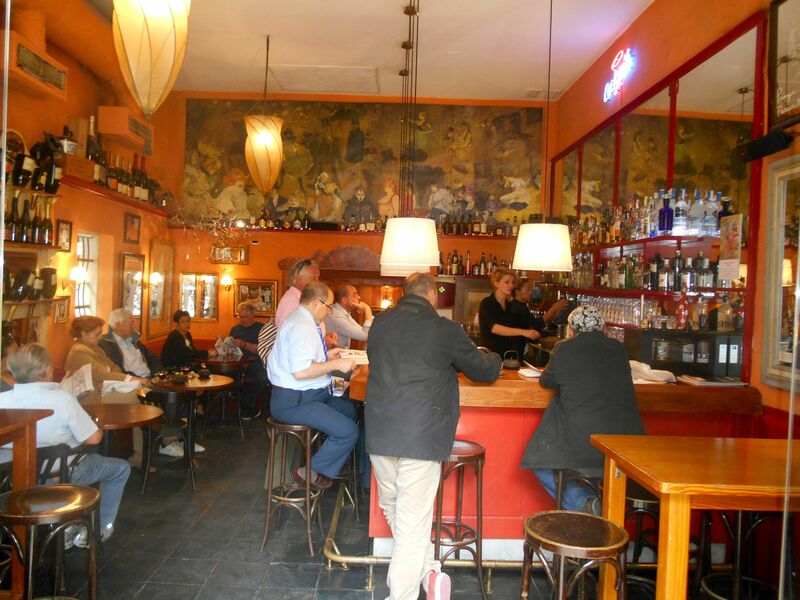 The walls are lined with bottles of wine attached to dispensers, there are 48 wines you can taste by the glass. 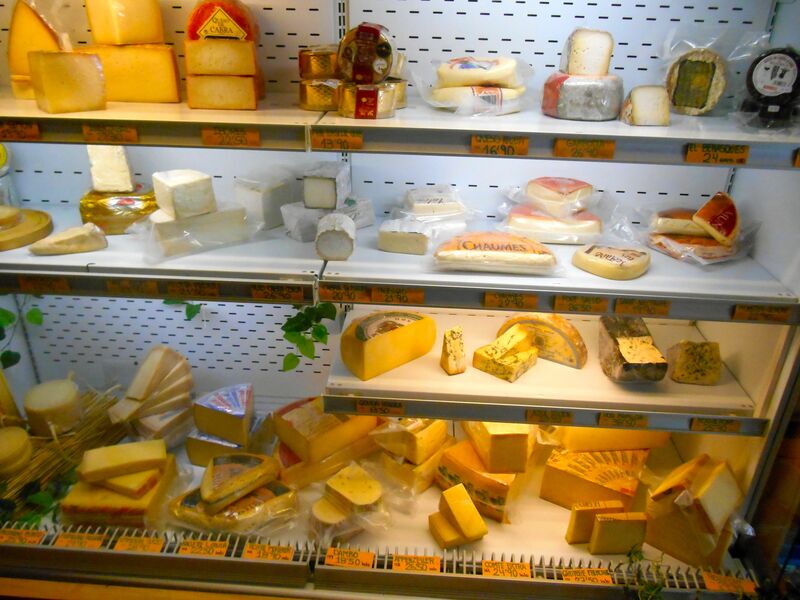 A really clever system where you buy a card and get about tasting to your heart’s content. 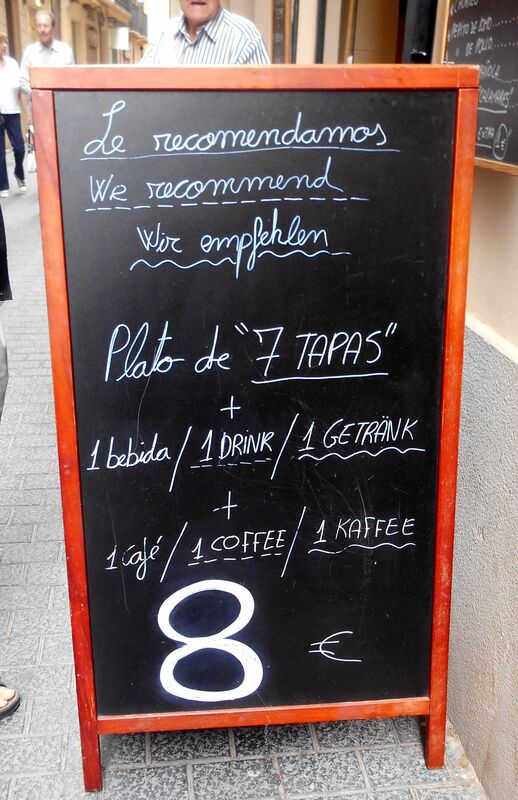 They also do a lovely selection of tapas. 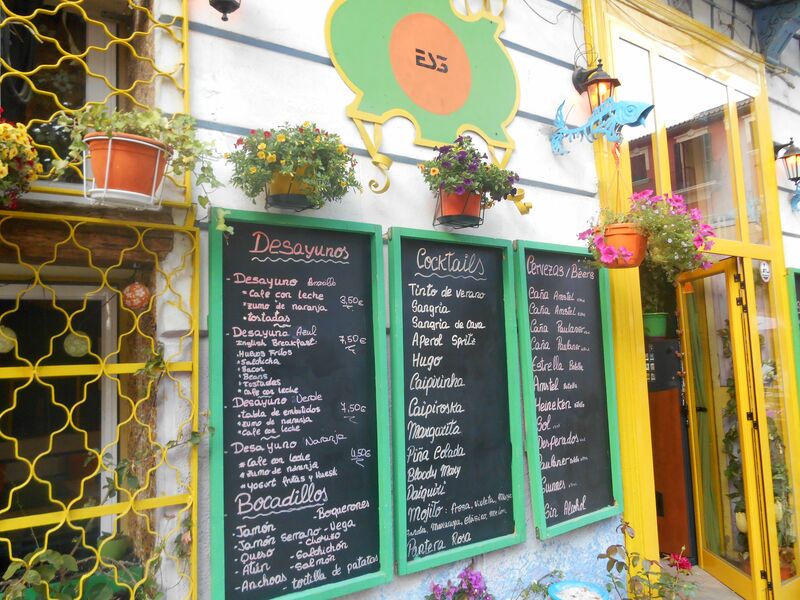 Once you’re a bit more off the beaten track you can mingle with locals and enjoy local prices (marvellous). This was the spot where we had the best coffee we had all trip. 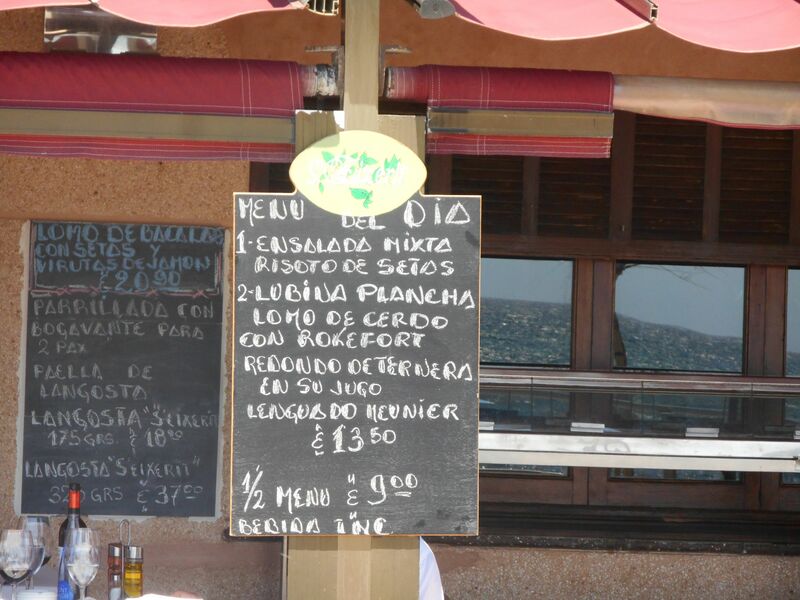 Restaurants have boards outside announcing their Menu del Dia (menu of the day). 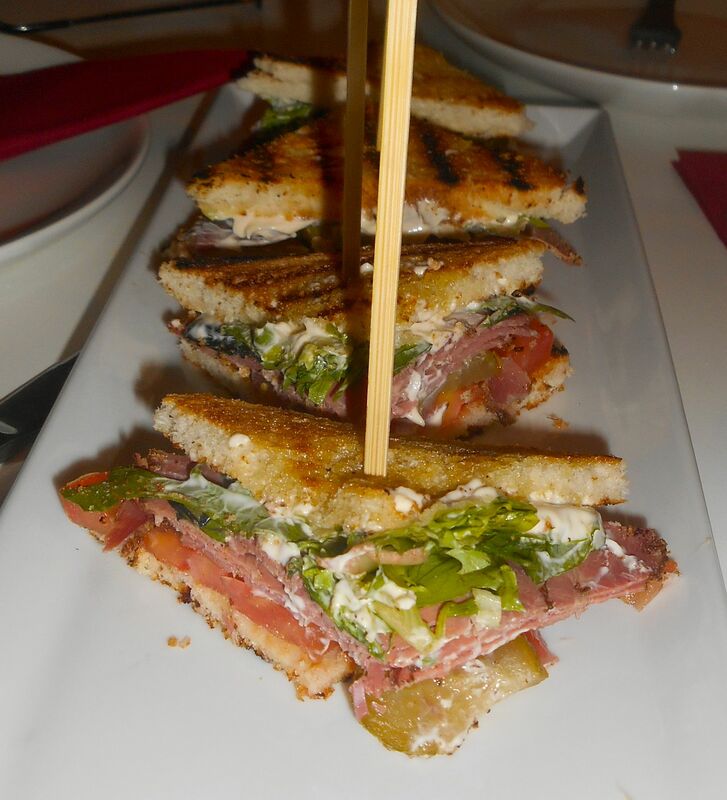 A wonderfully inexpensive way to indulge in some traditional, seasonal food. 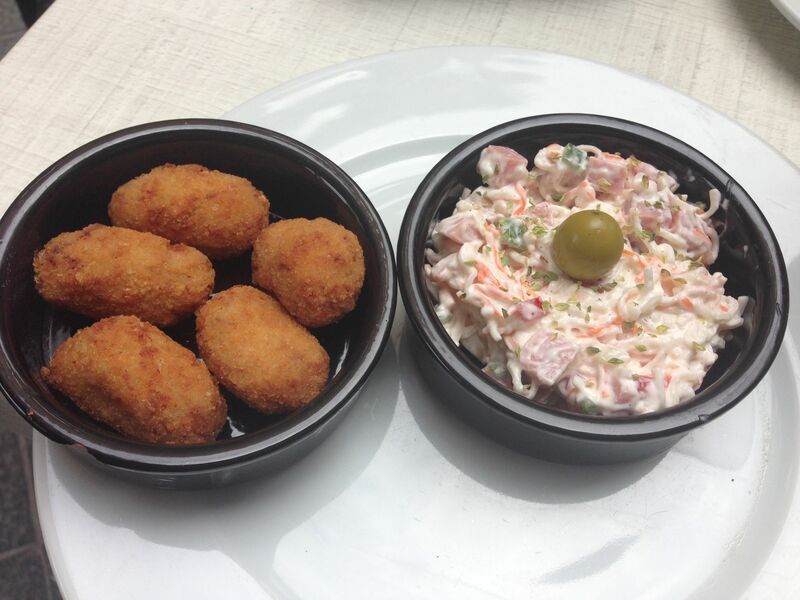 Or how about a plate of tapas in the Old Town? 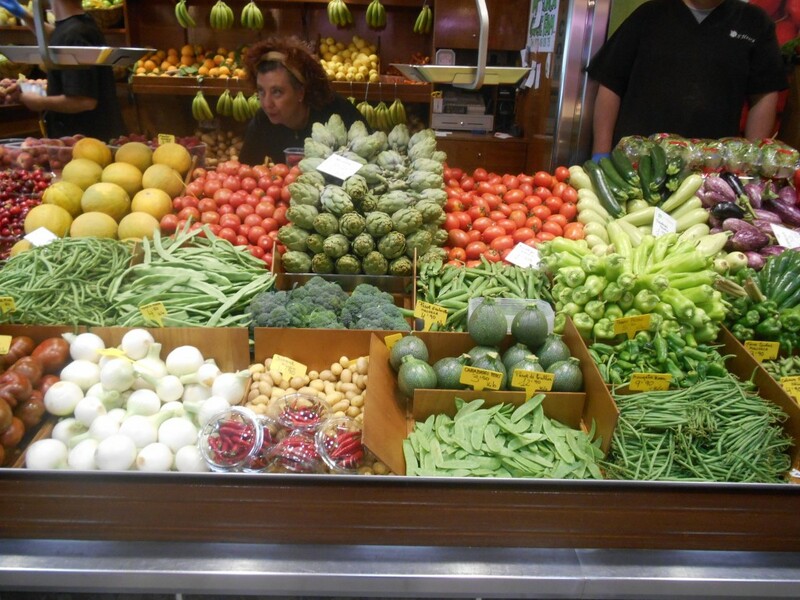 And don’t forget the fabulous Olivar Market overflowing with an abundance of Spanish produce – see earlier post. 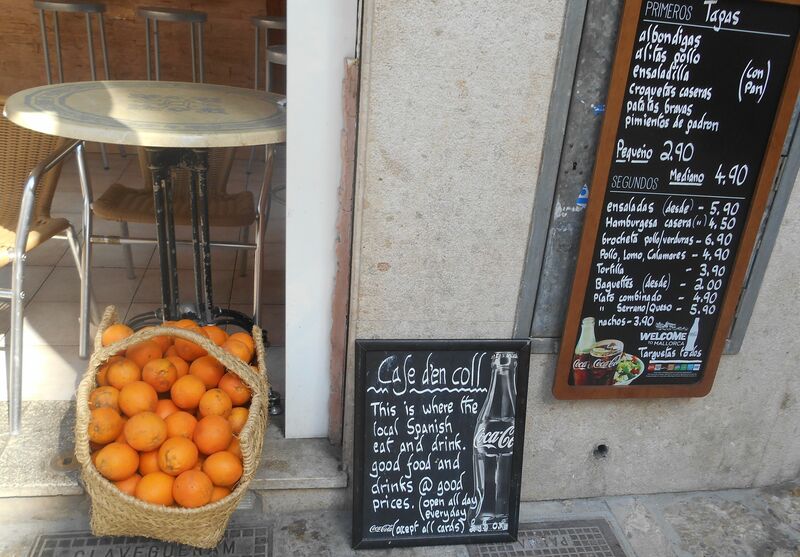 I totally fell in love with Palma, it’s my kind of town! I’d go as far to say I could live there happily. But if that doesn’t happen, it’s less than two hours flight from London for a wonderful escape into some of the best that Spain has to offer. Again, thanks to our lovely friends Dave and Sue who showed us the town. Local knowledge rules!